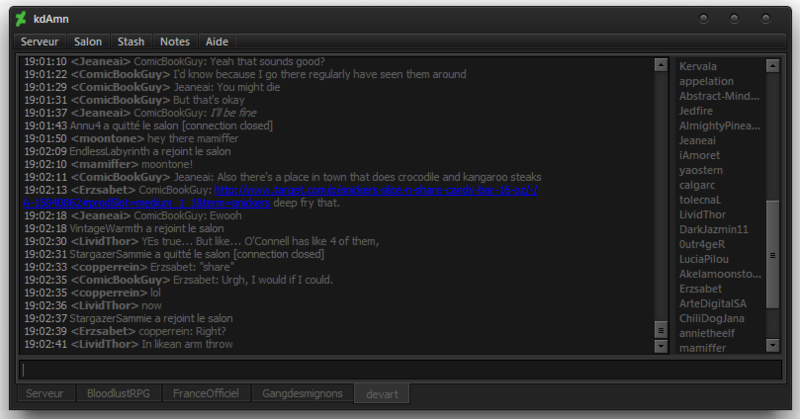 My deviantArt chat client, kdAmn, is finally ready. 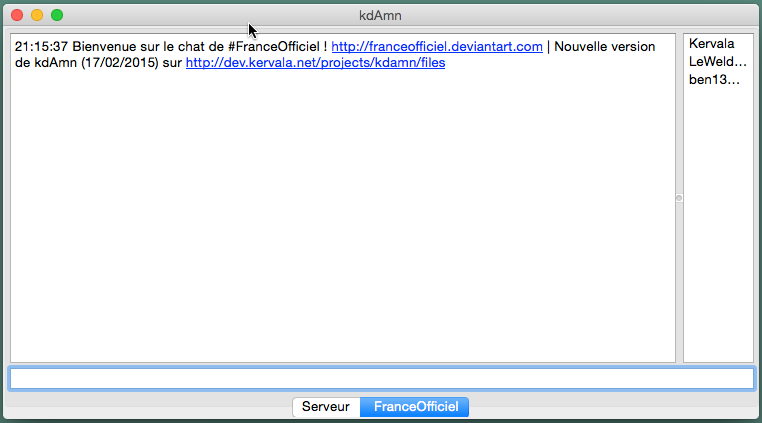 It allows to connect to http://chat.deviantart.com without using a browser, it implements a lot of features such as: audio and visual notifications when someone talks to you or you receive a note, display thumbnails of links (if supported by the site), display the time, very lightweight (it uses between 10 and 20 Mb of RAM), auto-reconnect, etc... Click on the link to see all of them. It's open-source (GPLv3 licence) and multi-platform (Windows, GNU/Linux and OS X).